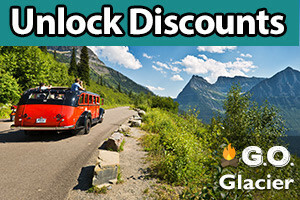 Getting to Glacier National Park and seeing all the marvelous sights has never been easier, with plenty of transportation options, such as shuttles, buses, planes, trains or cars. There are a number of options to get to and around Glacier National Park, and you can choose the best one for you, fitting your time frame and budget. You can drive, fly, take a train, rent a car or hop on a free shuttle through the park. The three most popular places to access Glacier are from St. Mary, East Glacier and West Glacier, Montana. St. Mary is located on Highway 89, one mile east of the Going to the Sun Highway. East Glacier is just east of the park at the junction of Highways 2 and 49. West Glacier is the western entrance to the park and is on US Highway 2, north of Kalispell. The Glacier/Kalispell Airport served by Delta Airlines, Horizon Air, United Airlines, Skywest and Allegiant Air. Missoula International Airport served by Alaska Airlines / Horizon Air, Allegiant Airlines, Delta Airlines, Skywest and United Express. Lethbridge, Alberta Airport in Canada served by Air Canada and Integra Air. The Amtrak Empire Builder travels the US from Chicago to Seattle, making stops in East Glacier Park, Essex and West Glacier, Montana, all on the edge of Glacier National Park. 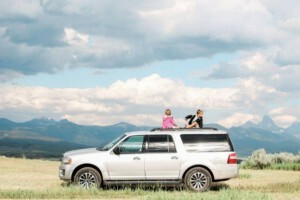 You will find car rentals at any of the airports that you fly into to reach Glacier, as well as in the surrounding communities, such as Kalispell, Columbia Falls, Whitefish, East Glacier and more. This is perhaps the best way to visit the area as you have the option to go where you want, when you want, on your trip. 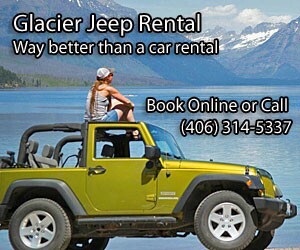 Within Glacier National Park, there is a free shuttle service that takes you along Going to the Sun Highway. You can leave the shuttle and take hikes or boat tours or just stop and stretch your legs, just hopping on the next shuttle when it comes along. You can even camp at one of the five campgrounds along the route, picking up a shuttle back to your car the next day. When landing at Glacier International Airport in Kalispell, you can take a shuttle from the airport to the free park shuttle terminal in Glacier (in Apgar).